Every dog owner wants his pup to live a full and healthy life, but what if a pill could give your pet additional time on Earth that wasn't measured in weeks or even months, but years? It might sound like science fiction, but a drug called rapamycin recently became the first pharmaceutical shown to increase the life span of mammals. Now, scientists are recruiting an unlikely group of volunteers to study the drug: our pets. 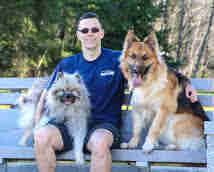 With the help of partner veterinarians, the University of Washington's Dog Aging Project is currently accepting applications for pet dogs in the United States to participate in rapamycin research, speculating the drug could extend the lives of large dogs by up to three years and small dogs by up to four. 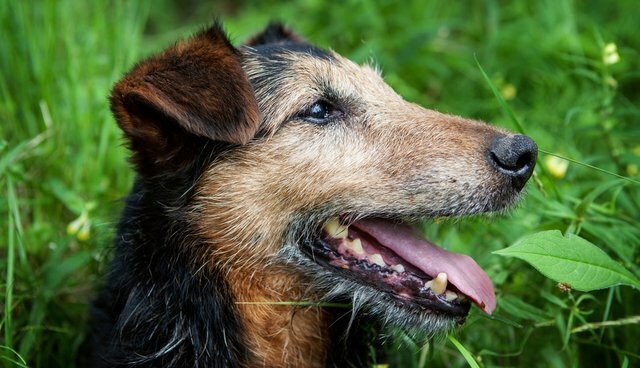 "If rapamycin works comparably in dogs as in mice, it might be possible to increase life span by up to 30 percent and delay many of the declines in function and diseases of aging that are shared by mice, dogs and people," project director Matthew Kaeberlein told The Dodo. Even more encouragingly, the drug has previously increased not just the length of animals' lives, but their overall health, and was effective even when treatment began late in life. "In addition to increasing life span, rapamycin has been shown in normal laboratory mice to reverse age-associated cardiac dysfunction, improve [vaccine response], protect against Alzheimer's disease, protect against age-associated cognitive decline, protect against most forms of cancer and prevent obesity," said Kaeberlein. "My guess is that the cardiac and anti-cancer effects will be the easiest to detect and, perhaps, the most important for overall health in older dogs." While the initial phase of the study (which identified a dose that doesn't cause significant side effects) is mostly complete, Kaeberlein says the team hopes to begin a much larger study involving many more doggy volunteers. And dog aging research might be even more critical than previously thought: According to Kaeberlein, his team was surprised to find 1 in 5 middle-aged dogs screened for the study had some level of heart dysfunction, making heart disease a far bigger problem in dogs than is generally assumed. "It turns out that when we looked by echocardiogram, we saw significant dysfunction in about 20 percent of the dogs that came in for the initial exam, even though they didn't show any symptoms of heart trouble," said Kaeberlein. To learn more about the Dog Aging Project, visit their website here.